CANTON, N.Y. — Dallas Mavericks head coach, Rick Carlisle, recently spoke to a group of young athletes on June 30 at St. Lawrence University Basketball Camp in St. Lawrence University’s Burkman Gymnasium, makng this Carlisle’s second visit as a guest speaker in five years. The camp is a five-day event that draws in students from all across the north country, said Joseph Keniston, co-director of sports information at SLU. Participants represent grades two through 12. Source: ALAN RIZZO at Watertown Daily Times. 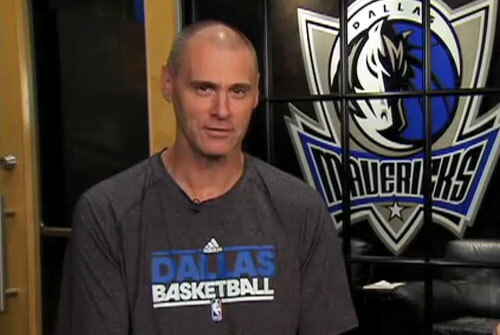 Rick Carlisle is the head coach of the 2011 NBA Champion Dallas Mavericks. He has also coached the Indiana Pacers and Detroit Pistons, and was previously a player in the NBA. He is one of only 11 people to win an NBA championship both as a player and as a coach. Rick is also a popular motivational keynote speaker.